Haha! Love it! 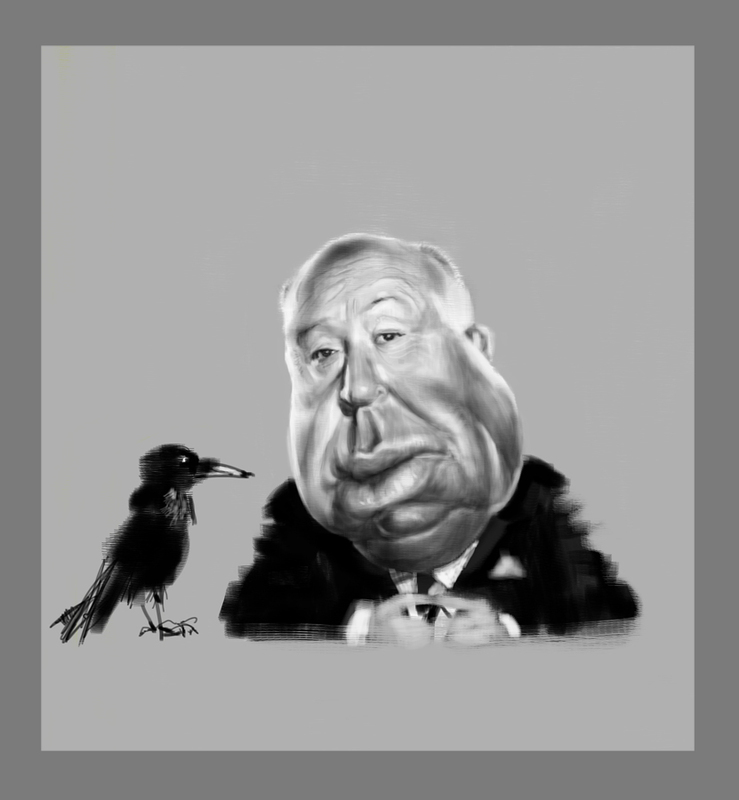 Great Hitch, and he does not look like Mao either. Wonderful! Crow is great too and definitely does not look like Mao! He is wonderful. I am looking forward to seeing more of your caricatures. Hahaha, a very good Alfred caricature. Fantastic! Very nicely done, Andrei! That's a great illustration. Really captures him perfectly. Wish I could do that. You are a genious man! Fabulous Hitch! Again, real LIFE behind those eyes. The bird is hilarious!